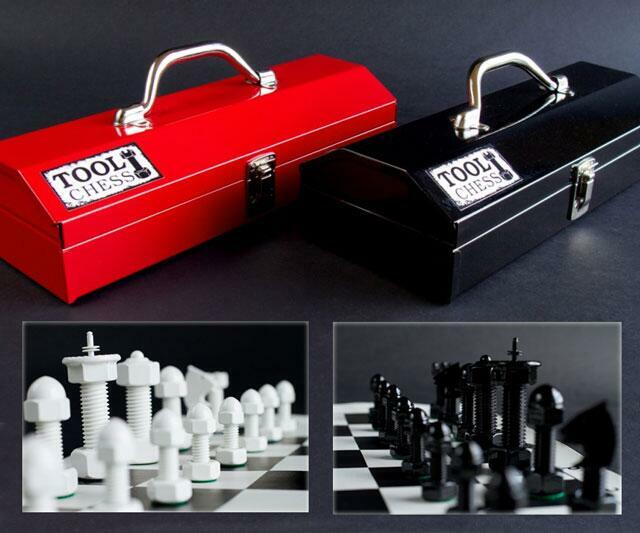 Stereotypes collide in this brainy game meets brawny hardware Tool Chess set. 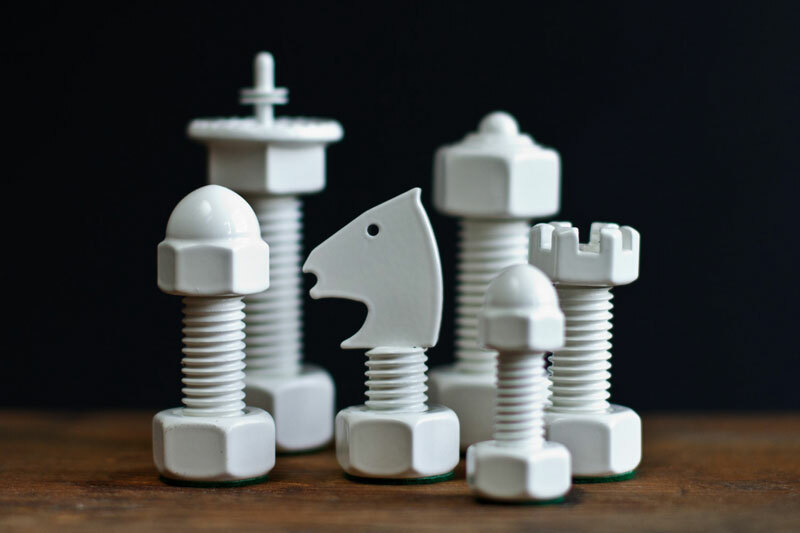 Each piece has been handcrafted from real nuts and bolts, plus additional steel flourishes to distinguish powder coated black and white pawns, knights, bishops, rooks, queens, and kings. Sets are packed in either a black or red toolbox and include a vinyl roll-up board. 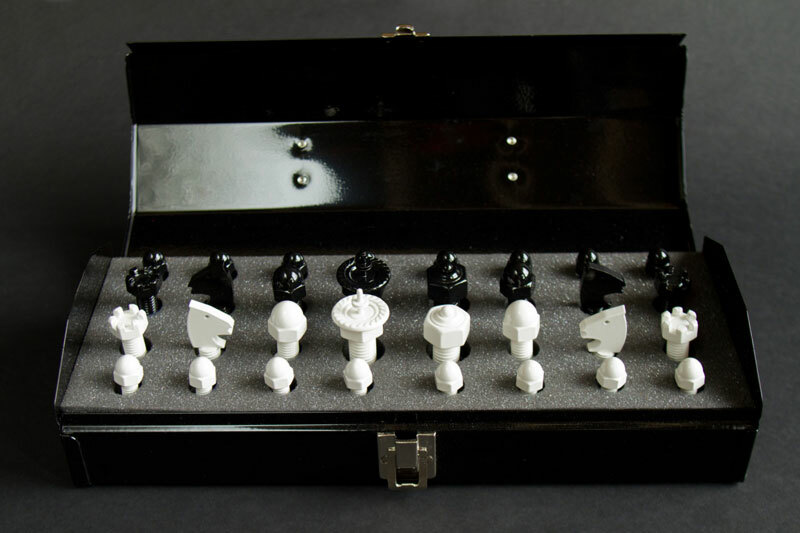 William Gallmeyer and his dad, Charles, make all Tool Chess sets themselves from their shop in Grand Rapids, Michigan. The tradition began not too long ago, after the family's machine tool shop shut down. Playing pieces range in size from 3-1/8" tall x 1-1/4" wide for the kings to 1-1/2" tall x 1/2" wide for the pawns.